We had a blast yesterday making up little Valentine envelopes for all the grade 2s. 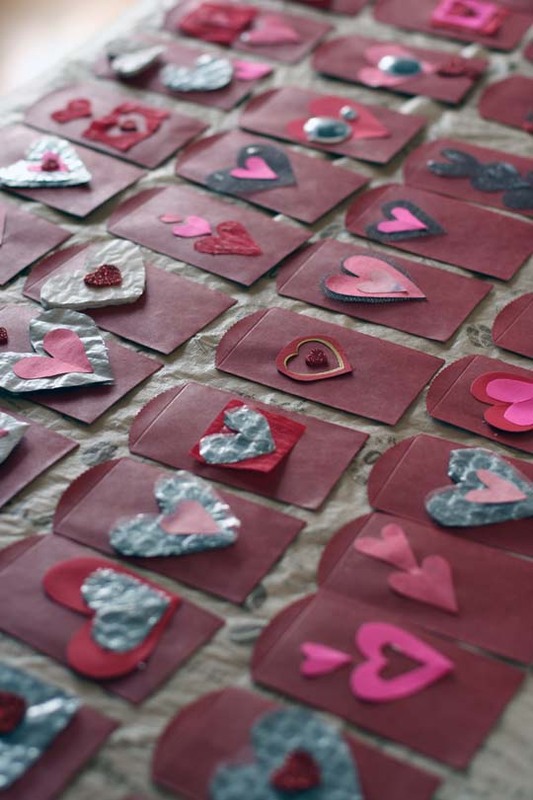 While Spud signed all 40, I cut out a million (plus or minus) hearts out of whatever scraps I could find in our art junk bin, including an old bubble wrap envelope. Then the fun began and we glued our little hearts out!